SOLOpro, an online marketplace where agents may advertise services for flat fees, is now backed by Lowe's and a North Carolina media company. SOLOpro may be able to tap Lowe's and the media company for wider exposure to consumers. SOLOpro's challenge will be to persuade buyers to pay cash upfront to agents. Real estate agents who wish homebuyers and sellers would pay agents for individual tasks rather than for a bundle of services have slightly more cause for hope. SoloPro — a marketplace that lets buyers and sellers pay flat fees for individual services from real estate agents and can offer up to a 3 percent rebate to buyers when a transaction closes — has raised another $1.6 million, including a “strategic investment” from a North Carolina media company that could potentially boost the startup’s exposure to consumers. The recent funding round, which also included an investment from Duke University’s venture fund, comes two months after SoloPro announced an undisclosed strategic investment from another firm that could also raise SoloPro’s visibility, the venture arm of home improvement chain Lowe’s. Real estate agents in 30 states advertise services for flat fees on SoloPro, including pricing a home, showing a home, providing a consultation and meeting in person (“Get on-site help at closing, inspections or walk-through”). But the amount of the savings SoloPro said it had already provided to consumers in mid-September ($20,000) suggests that only a handful of buyers have hired agents through the platform so far, partly reflecting the challenge of battling a decades-old payment model that doesn’t require buyers to pay cash upfront to agents. SoloPro declined to provide metrics that would offer a more recent snapshot of its progress. CBC New Media Group, a division of the Capital Broadcasting Company (CBC), operates media websites including WRAL.com, a news website covering the metropolitan area of Raleigh, North Carolina. 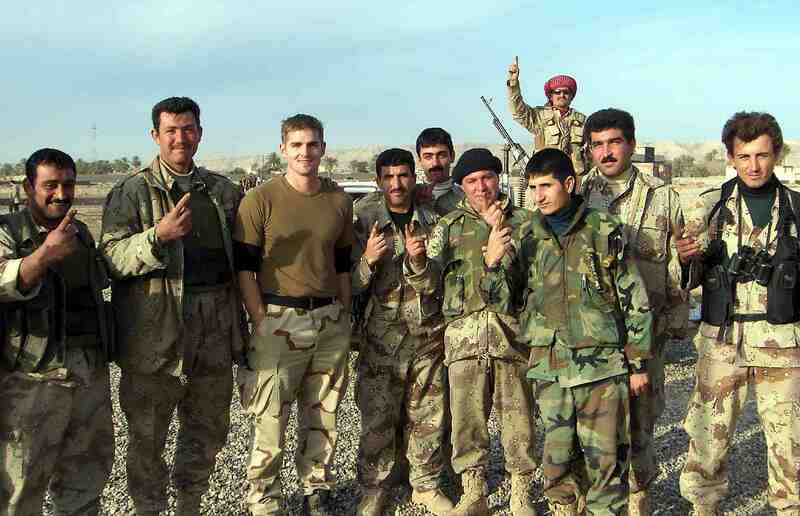 Tommy Sowers (second from left) in Iraq. Photo credit: Panosian32 via Wikimedia Commons. CBC New Media Group focuses on “creating innovative digital products that meet the needs of the general public and the business community,” James Goodmon, general manager of CBC New Media Group, said in a statement. WRAL.com notably features a classified ads section with categories including real estate (showing only 18 single-family home listings and two real estate agent ads) and a job-search tool, raising the possibility that CBC New Media Group might wrap a version of SoloPro into WRAL.com. “SoloPro is one of those innovative ideas that uses tech to benefit home buyers and agents,” Goodmon said. Asked how SoloPro might tap CBC New Media Group for support, SoloPro CEO Tommy Sowers said the company has “expertise in multi-channel marketing and innovation” and claimed that it operates the first TV station to have broadcasted in HD (high-definition video) and owns the “highest-rated local news site” (WRAL.com). 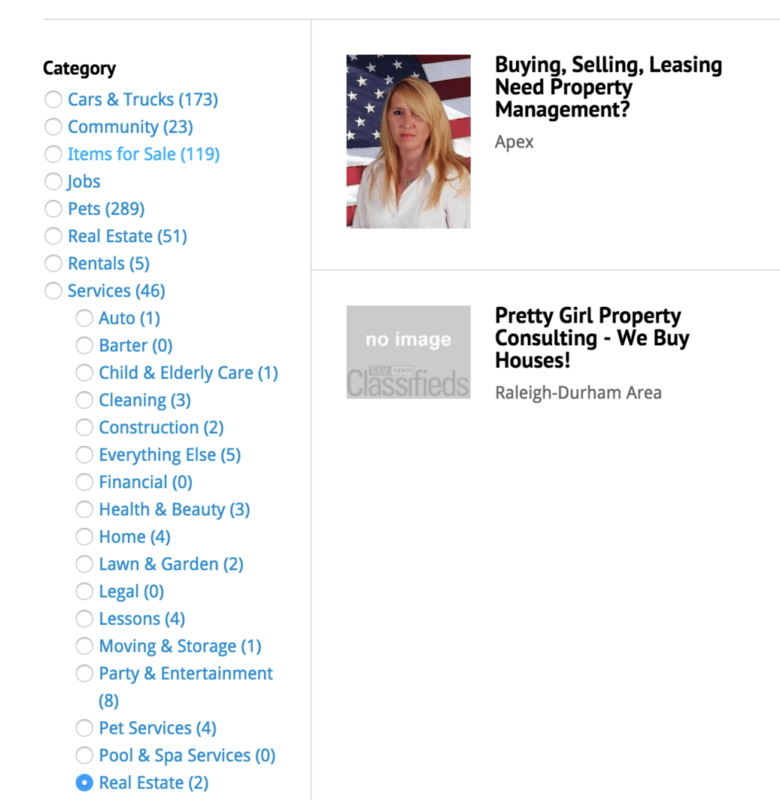 WRAL.com’s real estate services classified ads section shows two real estate agents. Sowers said he couldn’t comment on how SoloPro will leverage its partnership with Lowe’s. But Lowe’s partnership with home remodeling network Porch might offer some clues. Under that partnership, Lowe’s said it would equip all of its U.S. stores with tools that let employees tap Porch’s business network to connect customers with local home services professionals. Already an investor in Porch when that partnership was formed, Lowe’s later led Porch’s $27.6 million Series A funding round in 2014. Might Lowe’s supplement those tools with SoloPro’s agent network? Despite a string of recent wins, SoloPro will likely continue to face an uphill battle in persuading consumers to abandon the way they’ve paid real estate agents for decades. It will mean convincing buyers to pay cash upfront to buyer’s agents before purchasing a home. And it may also involve bringing many consumers around to the view that — contrary to a claim conditionally approved by the National Association of Realtors and frequently made by many agents — buyer’s agents do not provide their services for free. One step the startup has taken toward that end has been to roll out a rebate calculator.